The American criminal justice system mandates that a person suspected of committing a criminal act is innocent until proven guilty in a court of law. While that’s true when it comes to determining your fate, it’s not necessarily the case when it comes to your property. Local, state or federal officials can seize any asset they claim was used during the commission of a crime. That means you could lose your phone, computer, car or house even before you’re out on bail – and long before a verdict. Scenario 1: A driver was stopped because police claimed he was swerving within his lane. The police officer justified the stop by saying he suspected the driver was under the influence of alcohol. The driver was asked to perform various field sobriety tests and passed. While escorting the driver back to his car, the officer claimed he smelled marijuana emanating from the vehicle. Even though a search was permitted and police found no marijuana, the car was seized because police suspected that the vehicle was used to transport drugs and that the driver “acted nervously” after he was told of the marijuana odor. Scenario 2: A police officer noticed that a vehicle had a cracked windshield. The driver was pulled over and questioned. The police officer noticed a large pouch on the passenger seat and asked the driver to identify its contents. The driver said it was cash from his business’ weekly intake, which he intended to deposit at his local bank. Believing he had nothing to hide, he granted the police officer’s request to search his car. The officer went straight for the pouch and began counting the money. He surmised that cash in that amount must have been earned through illegal activity, namely drug trafficking. Even though no drugs were found during the search, the police officer seized the cash. Will these two drivers ever see their money or property again? Without the help of a West Palm beach criminal lawyer who specializes in asset forfeiture defense, it’s not likely, due to ambiguity of state laws and immense hurdles – both criminal and civil – they face after the seizure. Some states have enacted laws on the seizure of assets due to an influx of accusations of corruption against local and state police officers. In Montana, forfeitures are not permitted without a criminal conviction. In New Mexico, civil forfeiture has been abolished, meaning that state and local officials cannot seize assets of defendants who are found innocent in a criminal court. Florida doesn’t have such laws, making it much easier for corrupt officials to seize assets for “official use” and spend the money or proceeds from liquefied assets on “law enforcement purposes.” This practice is known as “equitable sharing,” a federal program in which local, state and federal agencies split seized cash and proceeds from liquefied assets. In other words, your personal property could be auctioned or sold off by police, who are free to use the proceeds as they wish without oversight or fear of repercussions. Under CS/SB 1534 – a bill co-sponsored by State Senator Bill Negron of Stuart – forfeiture of assets would only be allowed under the Florida Contraband Forfeiture Act after a conviction. Temporary seizure of assets still would be possible, but seized money and property would be returned to a defendant found innocent of a crime. Additionally, the bill would limit law enforcement’s use of forfeited funds to reimburse themselves for expenses related to the forfeiture, including liens, storage fees and court costs. The remaining funds would go to the state’s Crimes Compensation Trust Fund. Proponents of the bill argue that the new law – if enacted – would provide the transparency needed to protect the rights of the innocent and deal a severe blow to corruption by law enforcement. While CS/SB 1534 would protect Floridians from illegal asset forfeiture by state and local officials, federal institutions are not bound by state laws and could unilaterally act to seize assets. Unlike the other two states that included provisions in their forfeiture laws prohibiting state and local officials from cooperating with federal officials in illegal seizures, Florida’s proposed bill doesn’t contain such language, and many see this as an exploitable loophole that would weaken the law’s potency. Forfeiture of assets became common practice after The Comprehensive Crime Control Act of 1984 – a revision of the U.S. criminal code – was signed into law by President Reagan. Originally drafted with the intent to freeze assets related to organized crime or terror, the forfeiture provision has gone unregulated, leading to more than $500 billion in seized money and assets. In recent years, wrongful forfeiture has become the target of national organizations like the ACLU, which claims that corrupt law enforcement officials and agencies use asset forfeiture for nefarious purposes, endangering the civil liberties of innocent people in the process. There is a fine line between criminal and civil forfeiture. Sometimes the two become intertwined, and some police departments count on peoples’ inability to distinguish between the two. A West Palm Beach criminal defense attorney who specializes in criminal forfeiture cases not only can help you understand the difference, but help you navigate through the complicated legal proceedings required to reclaim your seized assets. Perlet & Shiner, P.A., headquartered in West Palm Beach, has two former prosecutors ready to help you protect your rights and fight for what’s yours. Call our West Palm Beach criminal defense lawyers today to schedule a free consultation. 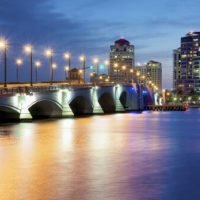 We can help you throughout Florida, including West Palm Beach, Fort Lauderdale, Stuart, Boca Raton, Delray Beach, Boynton Beach, Lake Worth, Jupiter and Wellington.